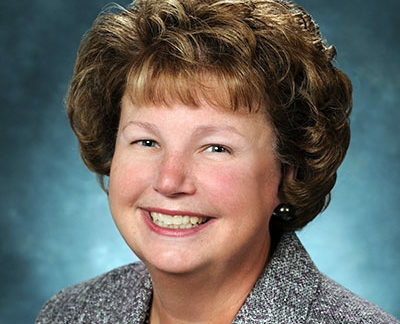 Beth Ann Swan, PhD, CRNP, FAAN, is Professor and most recently served as Dean of the Jefferson College of Nursing at Thomas Jefferson University. Dr. Swan is a fellow of the American Academy of Nursing, past president of the American Academy of Ambulatory Care Nursing, and a 2007-2010 Robert Wood Johnson Executive Nurse Fellow. She is nationally and internationally known for her research and work in health care and nursing. As an expert clinician, she was an early leader in exploring the impact of changing health care delivery models on outcomes of care. Throughout her career, Dr. Swan has been an advocate for engaging consumers in their health care, promoting ambulatory and primary care, and creating innovative evidence-based practices to improve care. As the principal investigator on grants funded by federal and private agencies, Dr. Swan has provided leadership and mentorship on ground-breaking projects impacting both nursing practice and interprofessional education. As a volunteer leader with the American Academy of Ambulatory Care Nursing (AAACN), Dr. Swan developed the major contribution to care coordination and transition management, the national curriculum now known as CCTM.